PACE Enduro races are offered to clinic participants 4x's per year. They are free training races, set up by coach Rene, with a marked course, aid station and end with a social pot luck. The course typically stays open for 4hrs and athletes make as many loops as they can in that time or a set time appropriate to their current fitness level. 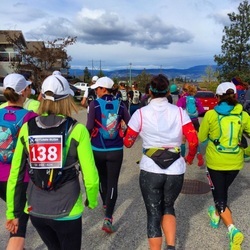 The routes vary from year to year or clinic to clinic, but you can guarantee they will provide you will an opportunity to practice your race strategies and test your fitness! Mix of urban streets and trails, this enduro was a hit among athletes of our maintenance clinic. A runable course, runners ripped through laps like nobody's business. New route for 2016! This technical, steep and swoopy single track route will help prepare athletes for the Nimble Bear & Broken Goat trail races in April / July. 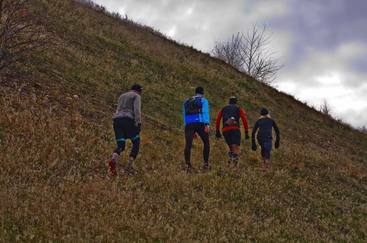 Specific training for Broken Goat 50k/25k/12k & Vertical Challenge.